IntegrityUSA, the Episcopal Rainbow, is excited to announce that the election for the next Board of Directors has been completed. The following positions have been filled and the terms will run from October 1, 2018 through September 30, 2021. Integrity's current Board of Directors offers its congratulations to the new board. The current board looks forward to working and assisting in the transition during the next three months. The following candidates have come forward for the elected positions. The election for provincial coordinators and the chair of the Stakeholder's Council will be deferred until after the new board has had an opportunity to review and update the By-Laws to meet the needs of Integrity today. The statements by each candidate will follow the list of offices. Because the Stakeholder's Council election is deferred, the stakeholder voters - as defined in the By-Laws - will not be included in this election ballot. Voting eligibility and candidate eligibility are based on the rules described in the By-Laws adopted in 2009. Eligible voters (Integrity members who are current with their dues) will be receiving an email with an individual unique link that that only allows one vote per person. Write-in candidates will be permitted. The voting will be open Wednesday June 20 through Wednesday June 27. After that time, the link will no longer allow you to vote. Results will be announced before July 3, 12pm EDT. Members of Integrity will be voting on the following positions. I am an ordained Episcopal priest in the Diocese of Arkansas. My experience coming out as a trans woman of faith makes me keenly aware of the necessity for the equality of all God’s children. Experiencing the effects of discrimination first hand, I have been actively involved in the work of justice in the transgender community both in Arkansas and across the Episcopal Church. I am an advocate and activist for the transgender community who was a leader in the coalition of organizations that fought back the anti-transgender bills introduced in the Arkansas General Assembly last year. I currently serve as the Vice President of National Affairs for Integrity USA; is a board member of Pridecorps, an LGBTQ youth center in Little Rock, Arkansas; and on the board of Stonewall Democrats of Arkansas. An active member of TransEpiscopal, I also serve on its steering committee. In addition to being a lifelong Episcopalian, my career has been in nonprofit organizing and management, including serving as Integrity's National Field Organizer in 2012. In that role, I helped carry out Integrity's successful campaign for the EC to approve the ordination of transgender priests, and to permit same-gender blessings. Both goals were achieved at that year's General Convention. More recently I served as the director of policy and programs for the Matthew Shepard Foundation, creating and carrying out their hate crimes legislation and reporting work. Other notable work includes several years with the ACLU in Mississippi and Florida. As a gay Episcopalian, I grew up in the South, attending a church whose leadership were unusually vocal about their belief that homosexuality was incompatible with Christianity. For a while, I left the Church because of this and only returned after seeing Gene Robinson's leadership and hearing his call to return. 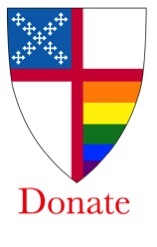 I believe strongly that Integrity is dearly needed to help parishes call home other LGBT Christians who still don't believe the Episcopal Church welcomes them, or who have simply come to believe that Christ is unimportant in their lives now that they have been gone from the Church for so long. That is great and important work, and I believe Integrity should play a key part in helping churches actively call LGBT members home to the Body of Christ. I would be honored to be part of this work as a member of Integrity’s board. I made my way to the Episcopal Church after being reared in a Baptist church, educated at Georgia Baptist School of Nursing and a long wandering in the desert after thinking I was through with churches for good. A friend repeatedly invited me to his church and I finally went in an effort to stop the invitations. I was pleasantly surprised with the differences and soon found myself on the path to becoming an Episcopalian. My career was spent in Georgia as a Public Health Nurse. I became a Women’s Health Nurse Practitioner and managed the Women’s Health’s programs which included the Family Planning clinics for a 10 county area. My work led me to dealing with controversial subjects, advocating for Women’s Health issues, sexuality education and providing direct health services. My work in Public Health put me in a position to see the AIDS crisis unfold and working in the rural counties to respond to the AIDS crisis. I worked on a team in our health district to educate our community and to provide for the needs of those diagnosed with AIDS. I also served in community organizations that provided support and services to the gay community. After becoming a member of St. Barnabas Episcopal Church, I met the love of my life who confided to me that he was transgender. Our journey began as her transition began. In 2004, that was a challenge since there was very little public knowledge about transgender people and issues, particularly in the Deep South. Our priest suggested that we contact Integrity. We became members of Integrity GA. The support and help we received from Integrity was invaluable and life giving. We have both served as officers of Integrity GA. For the past 3 years I have served as Province IV Coordinator for Integrity USA. My husband and I were confirmed in the Episcopal Church in June, 2001. I have been actively involved in our church since that time, having served on Vestry, as church Treasurer, participated in and coordinated various ministries, on Altar guild, an acolyte, as Diocesan council delegate and other positions. I recently retired as Administrative Director of Lord of the Streets Episcopal Church, a special evangelical mission church of the Diocese of Texas for the homeless of Houston. Having lived during the “Women’s Lib” movement and experienced it first hand in my daily working life, I am sensitive to injustice and discrimination of anyone. I see Integrity as one way I can proactively work for inclusion of everyone in my church. As a Straight Ally, I bring another perspective to the work and can often open or bridge discussions with others. I attended General Convention as a Volunteer and Visitor in 2012 and was much moved by the Integrity Eucharist and activities there. We have lived in Houston, TX, for almost 40 years, have 4 children, 5 grandchildren and 4 great-grandsons. I have a BSBA in Accounting from the University of Tulsa, OK, Non-Profit Executive certification from the University of Houston, and completed Education for Ministry (EFM) program of University of the South, Suwanee, TN. I live in the Diocese of Texas, am member of St. Andrew’s Episcopal Church, Houston, Board member of Integrity Houston since 2010. I am on the diocesan board of Episcopal Seniors Foundation and I have been responsible for email lists and notices to parishioners monthly and for special notifications, attended meetings and served as Treasurer of Integrity Houston for 7 years. My background is in Accounting, systems, procedures, and non-profit accounting with over 40 years experience in corporate positions, including 11 years as an independent consultant for systems, cost accounting, procedure development and documentation. An additional eleven years experience with non-profit organizations, including Episcopal churches and 501( c)3s. The past three years serving as Treasurer of Integrity USA have led me to many fulfilling relationships and a greater understanding of God’s love for all. All means All. Born in Caracas, Venezuela, I am the first generation of Spanish immigrants, earned a Bachelor in Education, and another Bachelor in Communications (Journalism) from the Andres Bello Catholic University. I moved to the United States in 1999 and after several years in different positions, including as a correspondent for a newspaper in Venezuela, I started to work in CNN in 2006. as a radio anchor and producer. In recent years, I have been working as a digital and video editor and producer, writing for the CNN en Español while continuing to work with CNNe radio affiliates. She also functions as social media coordinator. I was received into the Episcopal church in 2008 by Bishop Neil Alexander, am a member of Saint Michael and All Angels Episcopal Church in Stone Mountain, GA, and am a very active Episcopalian, member of the Vestry, and Senior Warden. In 2006, I started to collaborate with Saint Bede´s Episcopal Church in Atlanta with the Hispanic Community. I currently coordinate the Facebook pages for the Hispanic Communities of Saint Bede´s and Saint Edward, along with Saint Michael and All Angels Facebook page and Integrity Atlanta. I am part of media team in the Nuevo Amanecer conference in 2016, continue to work in CNN en Español, and am postulant to the Holy Order of Deacons. I hope to be ordained in December 2018.